In addition, you can examine and move between areas just like in Phoenix Wright. 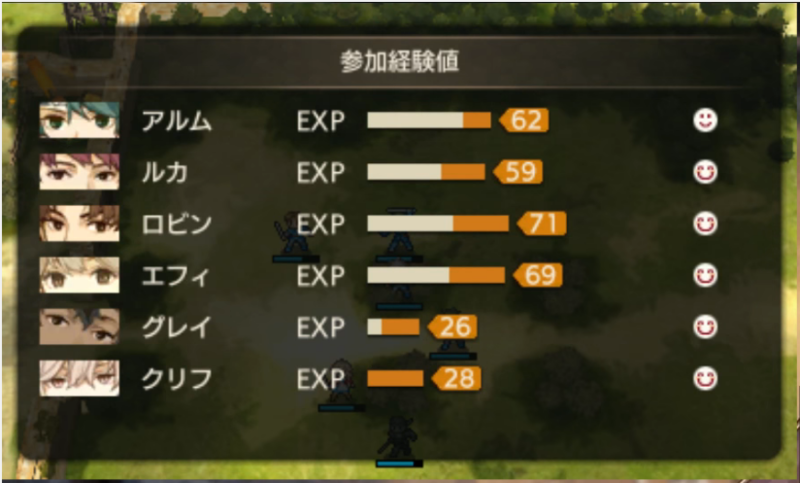 You can often find provisions (food items) lying around or even equipment to aid your warriors during your long adventure. 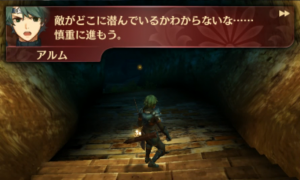 Fire Emblem Gaiden had shared experience in the past, which is making a return in Shadows of Valentia as seen here. At the end of a fight, you basically get “participation” experience. There are also tutorials for all the little mechanics sprinkled throughout these first few hours of the game. We then see the first Shrine of the game, after some of the typical Gaiden beginning maps, you are limited to taking a ten unit party into dungeons. We’ve already seen a fair bit of this from the old PAX East Videos (that analysis can be found here). Onto the newer side of things are the English build, where we get to see a video of Clive reacting to Alm’s appearance instead of Mycen. 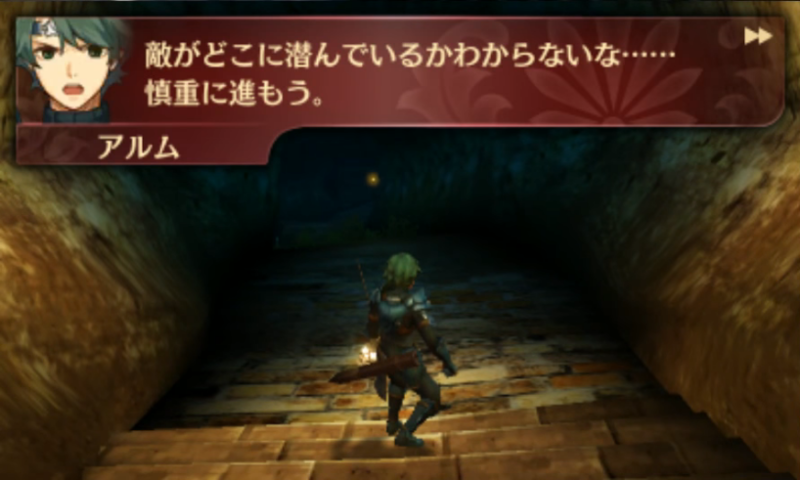 Once again showing off this games really good presentation, the voice actors chosen seem to really bring their characters to life, (Alm showing a little nervousness on being addressed by Clive, for instance). This scene also allows Gray and Tobin to have some minor background comedy which was lacking in Gaiden, basically after someone joined you, they’d never really get to talk much after. It’s really nice to see these characters getting a chance to interact. GameXplain also had one last video to share with us, a general overview on their thoughts, basically going over everything we just discussed, and going over how Gaiden’s black sheep mechanics have been touched up to be more presentable in 2017. Loving the voice work so far, I kinda wish we got to see Fernand say stuff too but I guess that’ll have to wait until the game actually comes out. Can’t wait. I wonder how new fans will react to how different this game is, hopefully for the better. We wouldn’t want IntSys getting turned off of remakes, or we might never get that much needed Genealogy Remake. I can’t wait either, I even preordered the Limited Edition in hype alone haha. While I don’t care much for reviews, Famitsu giving this game a really high score will probably help for its Japanese sales in general. Echoes: SOV is also the newest highest scoring FE game in Famitsu history. It literally went from worst to first. The original Gaiden only got 28/40. Now it got 37/40. It’s a new threshold that wasn’t previously achieved. As someone who got into FE when Awakening came out, Echoes’ mechanics scare me but they also seem much more fun than what Fates/Awakening had in store. I hope my fellow FE13/FE14 starters enjoy it just as much as we enjoyed 13/14. Seeing more remakes in the future would really pique my interest though and I hope IS keeps up this trend. Glad to see you’re willing to make the leap! I think the entire franchise is good for all of us, we just have some oddballs who think otherwise. 😛 and of course preference is a thing too. This is a great attitude you’re taking! I understand how the drastically differing gameplay from Awakening and Fates can feel a tad bit uncomfortable for you. But make no mistake, Echoes or SOV is going to be a fantastic addition to the series. This game is regarded as the black sheep of the franchise, the original, I mean. However, it introduced mechanics that would later be integrated in later FE games such as Sacred Stones with the undead, 3rd tier classes in Radiant Dawn, and limitless weapons in Fates. I’m playing the original Gaiden right now and I like this game for what it was supposed to be in 1992. And I love seeing the stuff that was referenced in the later games and then imagine how much better it will be in the remake. With its colorful mechanics and things it tries to do, Echoes is looking to be a colorful gameplay experience that will keep you on your toes and think about how you want to use your units. It’s not about mix and matching like how it mostly was in Awakening in Fates. 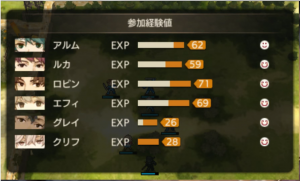 Rather, it’s more about how you can use a unit’s individual strength to your advantage, which I personally prefer. I sincerely hope that many people pick up this game. I haven’t been this excited for an FE game since Radiant Dawn in 2007. As a FE fan since Path Of Radiance, I’m getting some really good vibes here. Unlike Fates who seemed like Awakening, but only focusing on the characters in a “sim-date way”, I really hope the characters here are a part of a story and not here only for the “Let make kids” thing. My favorite support conversation still is Jill/Lethe in PoR because of that: the supports are here to help the player to CARE about the characters and not to waifu/husbando them. Really hope IntSys focus on that! I’m loving the fact that the game is fully voice acted. It’ll make it harder to simply press the Start Button in cutscenes on repeat playthrough. 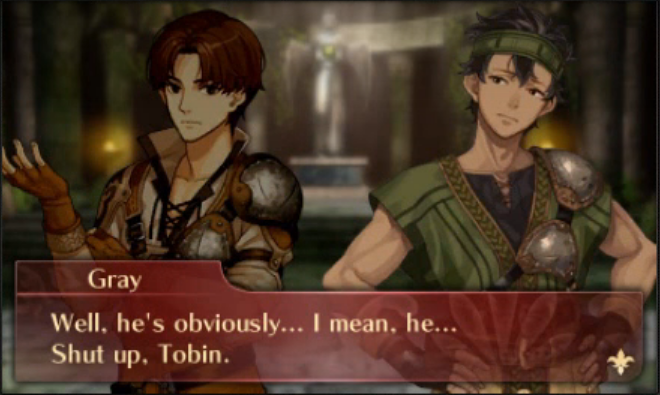 I love the fact of Gray and Tobin’s friendship brings some background comedy. Certainly better than Blandy McKill-NoOne. And yes – I am calling Corrin that.